On Monday 7/1/2018, the Flemish Minister of Mobility Mr. Ben Weyts, the Brussels Secretary of State for Road Safety Mrs. Bianca Debaets, and the Walloon Minister for Mobility Mr. Carlo Di Antonio introduced a definitive PN emission measurement that will be used in Belgium. This measurement will serve to assess the quality of the diesel particulate filter (DPF), during the period technical inspection. 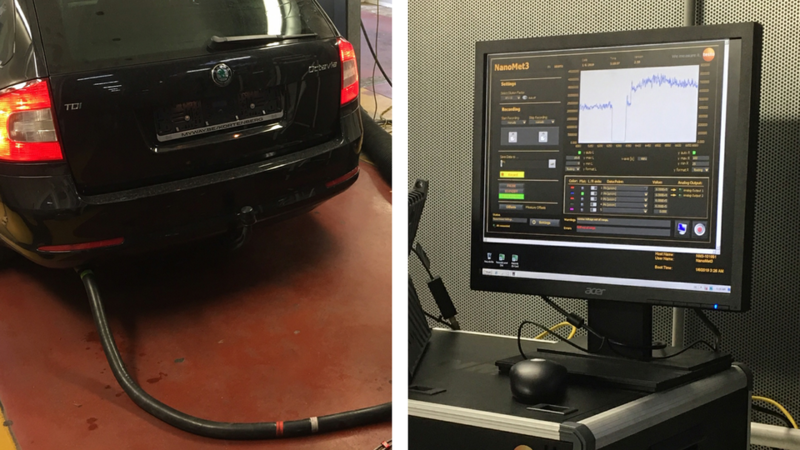 By 2020, all vehicle inspection centers must be equipped indeed with a PN measurement equipment that measures particulate matter at the exhaust. This decision was preceded by an extensive investigation by GOCA (the Grouping of approved companies for vehicle inspection and driving license in Belgium): between 1 July 2018 and 31 December 2018, different types of PN equipment were tested in a real PTI inspection environment, and, in particular, were tested the exhaust of Euro classes 5 and 6 vehicles. The three regions of the country are now going to establish a legislative framework for a new emission measurement, so that the rollout can follow in the 78 Belgian PTI inspection centers by 2020. GOCA will prepare a clear specifications for the PN measuring device, including maintenance and calibration procedure. Due to this, the approved companies for vehicle inspection will invest in the purchase of devices meeting that specifications. “We are the first in Europe to introduce these advanced tests and we are so internationally pioneers in the fight against DPF fraud“, said the Flemish Minister – Mr. Weyts. “We have to act, because a car without a DPF is up to 80 times more polluting, and particulate matters is also an assassin that costs 2,500 Belgians every year“, stated the Brussels State Secretary – Mr. Debaets.